Michael Mabee presented “the cavalry is not coming” at the New England Long Term Power Outage Summit in Hennikjer, New Hampshire, November 10, 2018. Building a culture of preparedness is a local issue. It starts with you. The government cannot “build a culture of preparedness” – this must be done by individuals, families and communities. All Roads Lead To Civil Defense. Civil defense is the organizing and training of civilians to play key roles in a community’s survival. 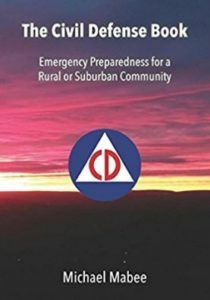 Another term for this, coined by Civil Defense Virginia, is “continuity of community.” The concept is simple: A community’s citizens, in partnership with their emergency management and local government, planning and preparing for disasters and having the ability to take care of their own. This is something that currently is not in common practice – and this needs to change because in a national scale disaster, the cavalry is not coming. Current FEMA Administrator Brock Long and former FEMA Administrator Craig Fugate – emergency management leaders serving in vastly different administrations – have both told Congress essentially the same thing. It has been rare to see bipartisan agreement on any subject in the past decade, so we should all pay attention. We have to do more pre-disaster mitigation. Pre-disaster mitigation is the key to becoming more resilient and reducing disaster impact. We have to ensure that state and local governments…have their own life sustainment commodities capabilities and the federal government is not shouldering the entire burden…The key resiliency is held at the local level of government…it’s going to have to be a whole community effort on the pre-disaster side. Government can and will continue to serve disaster survivors. However, we fully recognize that a government-centric- approach to disaster management will not be enough to meet the challenges posed by a catastrophic incident. That is why we must fully engage our entire societal capacity, leveraging trade associations, non-governmental organizations including those that represent different linguistic and ethnic minority groups, faith-based organizations, private industry, and social and fraternal organizations. These are the organizations that provide the bulk of services to communities every day, and to the extent that they are able, they should continue to be the primary provider of such services in a disaster. The quicker these entities are able to get back on their feet, the faster communities as a whole will be able to recover. FEMA’s underlying message has not changed in the last two administrations: survival is a local issue. This is especially true if we suffer a national-scale disaster in the United States. If we are preparing for a “worst-case scenario” this message means we need local government and communities to be able to take care of themselves for long periods – weeks or months – when no outside assistance is available. 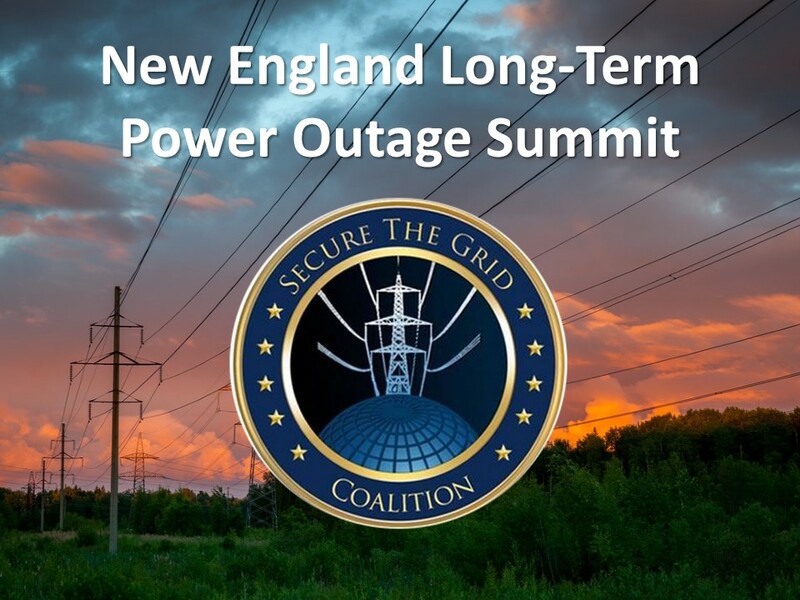 FERC Commissioner Cheryl LaFleur: Step Up on Grid Security or Step Down! Experts said the test does not appear to negate North Korea’s moratorium on nuclear and ballistic missile tests.